I’ve been testing an Olimex PIC-WEB Ethernet Web PIC Development Board for a bit now and this little board comes in handy for projects that need quick web access. 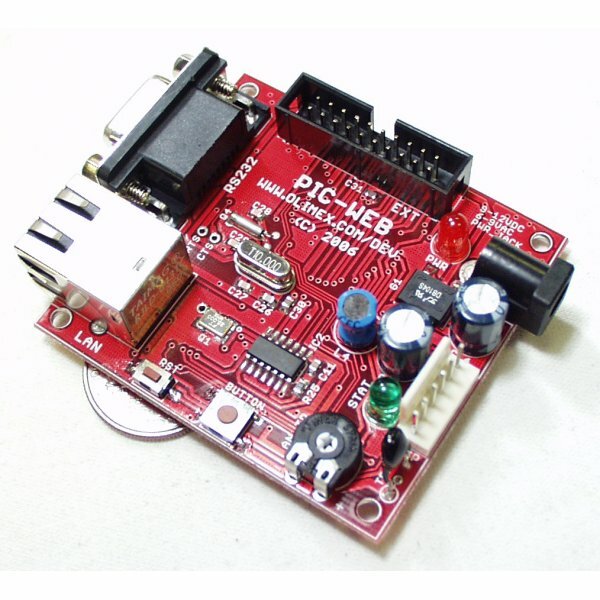 The PIC-WEB offers a very small but powerful webserver based on the PIC 18F452. The development board has everything you need to serve web pages with 1 megabit storage on board! I also have an Arduino with an eShield which I will be testing next!